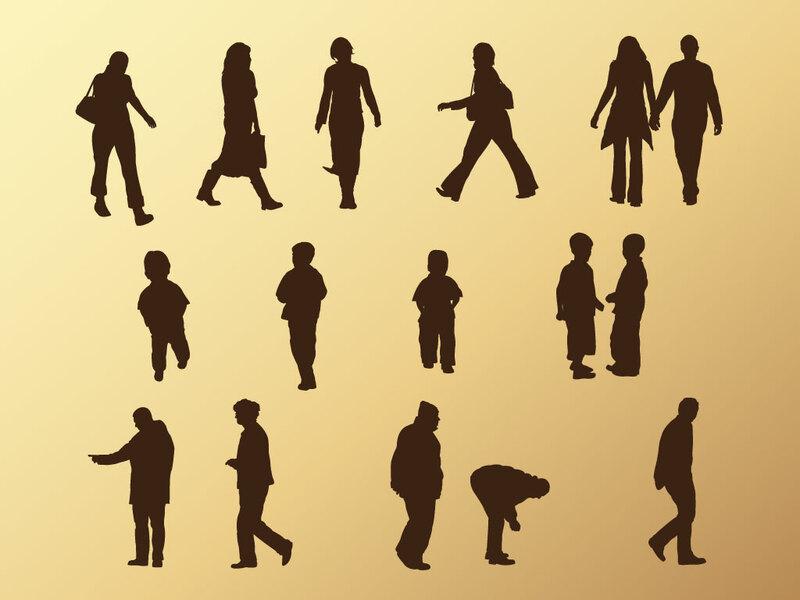 Fifteen different silhouettes to choose from in this vector pack. A wide variety of men, women and children to choose from. A perfect addition to your silhouette collection.